Wow Nobby that Man is amazing oh to be so talented a True Legend. 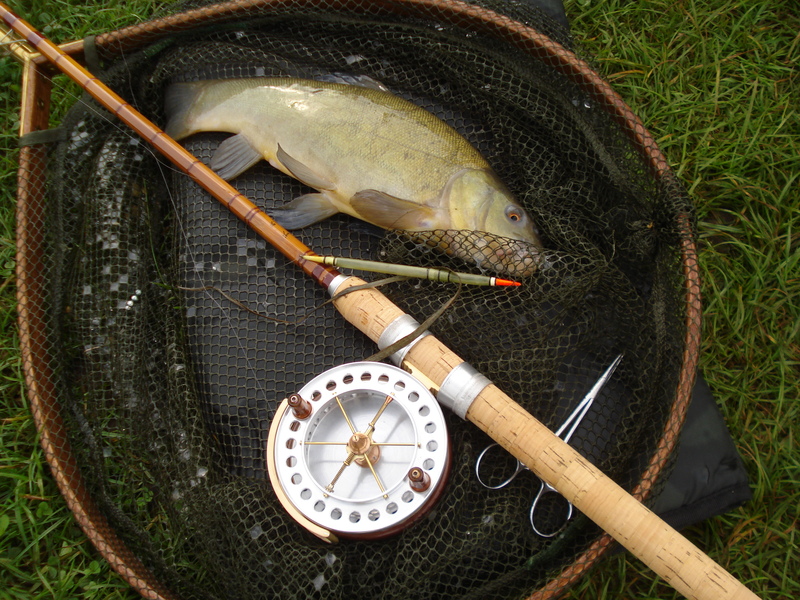 A lovely christening for a lovely reel! Well done Nobby! Well done Nobby. What a fantastic looking reel, full credit to Waterhole! Do you mind if I take a copy of the photo with the reel, and the Naiad float I made, for my website? Of course not Trevor.....help yourself. I thought I'd lost that float twice yesterday and was about to take my shoes off and get wet to retrieve it. Fortunately the landing net did the job but I am SO glad I put that bottom eye on it or it would not have come home with me again.....phew! Cheers Nobby. If you do lose it just let me know and I will send you another, but with an eye on! 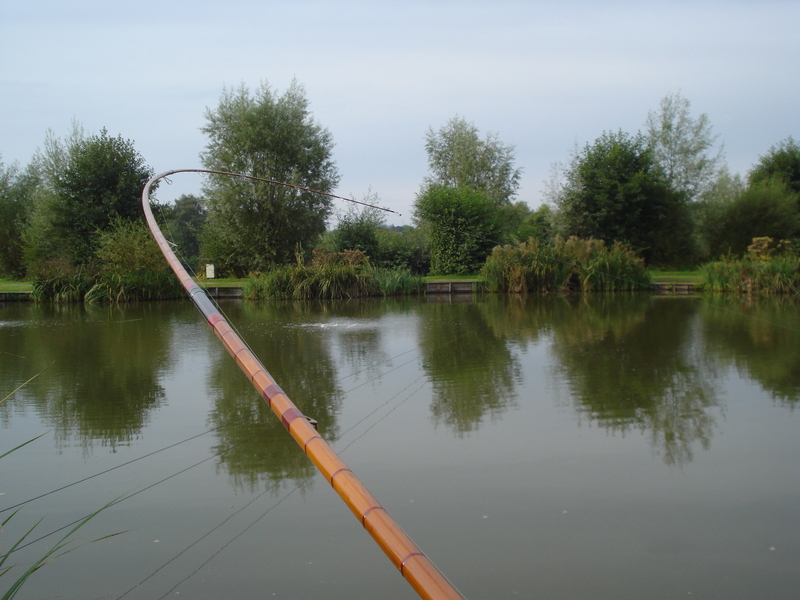 It's so nice to see that reel on a beautiful rod, having landed a fine fish in an equally beautiful `Mr. Crabtree' landing net. You're making us all jealous, Nobby. I thought I'd bitten off more than I could chew when I decided to add that eye, Trevor. The tiny drill bit did NOT want to go into the bone at all. Twenty minutes spinning the little Archimedes drill and I think it had gone in by no more than a single millimetre and my wrist had already had enough. Then I wafted it in a flame and tried again.